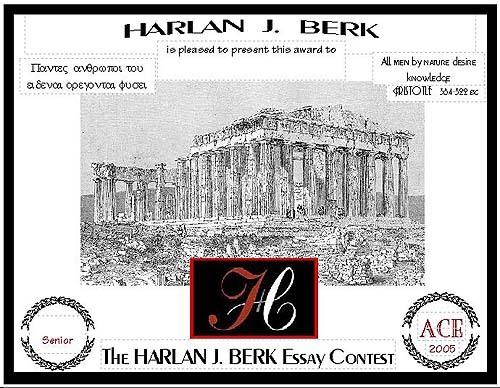 We hope you have read the two personal favorite winning essays from the Harlan J. Berk and the Marvin Tameanko "Sponsored" Essay Contests in our Introduction..... they really are all-time "Best of the Best" essays - when we create a "Hall of Fame" they will be the first ones in there ! However, the competition was stiff, and we thought you might like to read a couple more winners from these "Sponsored" contests. 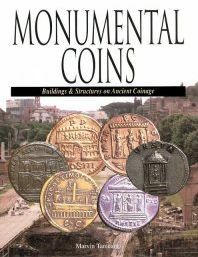 To start with the youngest winner, aged 12, who received the $500 Savings Bond Junior prize from Harlan Berk - see the presentation at http://ancientcoinsforeducation.org/gallery2/main.php?g2_itemId=211 This young writer, Vittoriano is now living with his parents in Rome, and must be writing even more superlative essays now..... think of the atmosphere that he can add from his present vantage point ! Joe, aged 17, was the happy recipient of the Harlan J Berk Senior Essay prize.......from Columbus, OH, he received an amazing $2000 Savings Bond ! There was a 1st place tie in this contest. This essay from Paul, of Lexington, KY, was the favorite of Judge Delane Hewitt.